In the world of social networking, iPads, iPhones, and quick access to everything and not many people are looking back at the past. The social networks, along with the iPads and iPhones allow anyone to “become their own boss,” but the prototype was built by Percy Miller, better known as Master P. Representing New Orleans, Master P had an ear for business and soon built his own record label, No Limit Records, immediately becoming a rival to Cash Money Records. The newer No Limit Records had more initial success than Cash Money Records, but now hip hop is dominated by the movement now known as YMCMB. Even though Master P is no longer in front of the camera and his label is not as relevant as he was, P inspired people to do better. Master P had dreams of becoming a successful businessman. 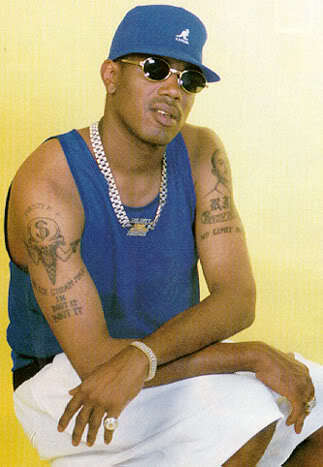 Where he came from, it was not possible for a person to emerge and be successful the way Master P wanted to be. Master P took a literal dollar and a dream and redefined the way people think of a businessman. At the time, and even today, when people think of a businessman, they think of limos and corner offices. This was redefined when P emerged and proved successful. At a time when rappers only dreamed of being signed by a major record label, Master P created his own record label and had his own music videos shot. Master P would sell these products out of the trunks of cars, building an empire and he soon had labels wanting to work with him. Without a corner office, Master P was a successful businessman. Major record labels wanted to take over No Limit Records, but Master P wanted to remain completely independent and retain the rights to all his masters. Popular West Coast hip hop record label, Priority Records, soon offered a multimillion dollar deal to Master P, which he took. Soon, No Limit Records was nationally-known, being featured on BET, MTV, and other music video channels, while their songs were played on radio stations around the United States. Before Master P and No Limit Records, doing all of this without the help of major labels was virtually unheard of. In recent years, Master P has become a spokesperson, of sorts. Because he is no longer popular, there are many who laugh off the lessons he is still trying to preach. But, those wise enough to listen leave discussions with Master P inspired. As a young, successful, businessman, he was himself. He bucked the trend of riding in limos, wearing suits, and the corner office. Now, as an older man, still a successful businessman, Master P has put the suit on and has offices in various places. The overall goal, when he was heavy in the rap game himself, was to leave something to his children. Going on 45 years of age, Master P has left his company to his son, Romeo Miller. Romeo Miller has big shoes to fill, but he has a good mentor, in his father, Master P, to teach him how to get there.